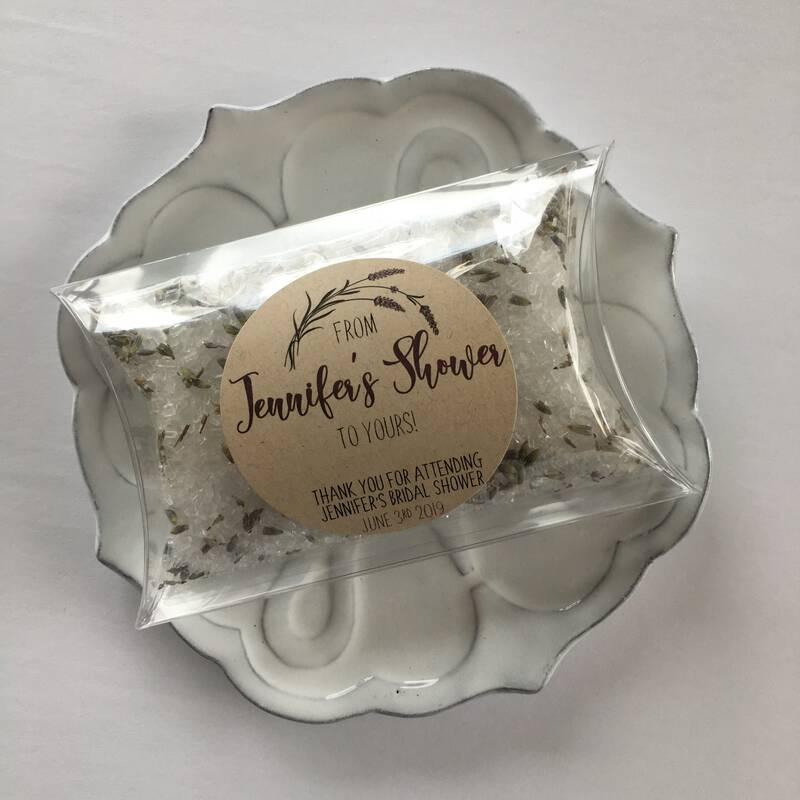 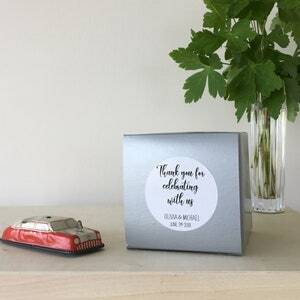 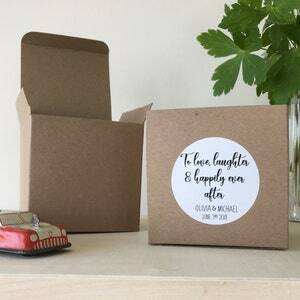 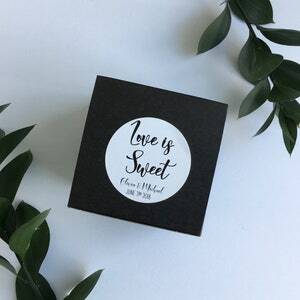 Wedding favor pillow treat boxes featuring the saying "From (brides name)'s Shower to Yours" "Thank you for attending (Brides name)'s bridal shower"
Labels are customized with the brides name as well as the date of the shower. 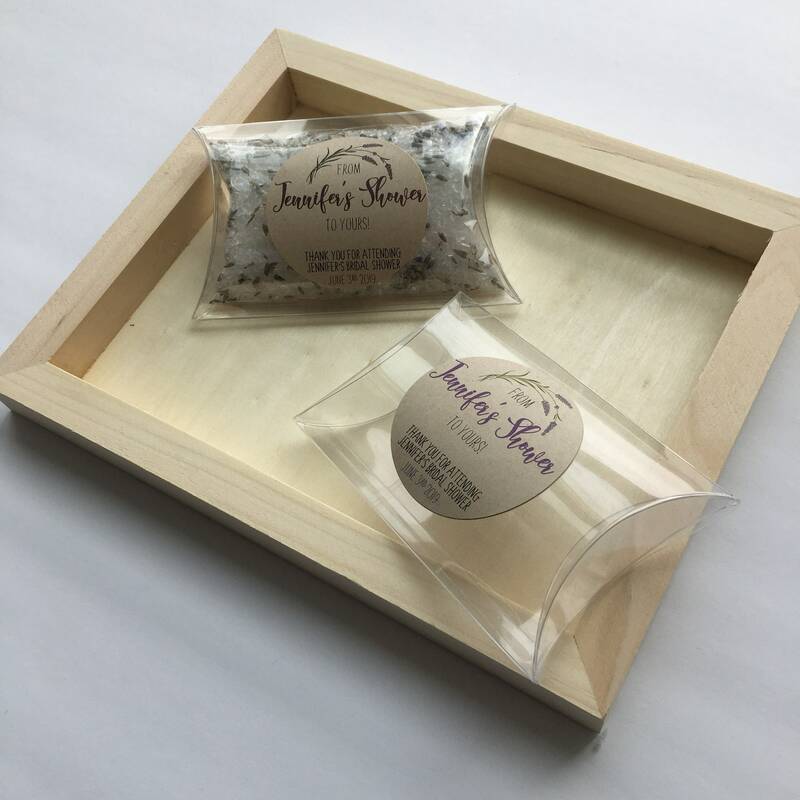 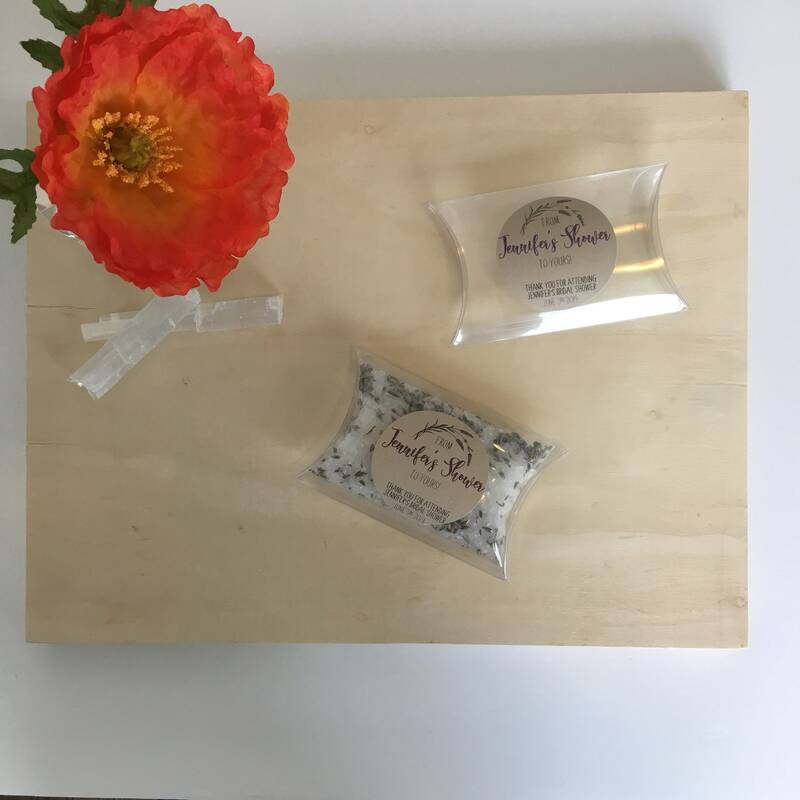 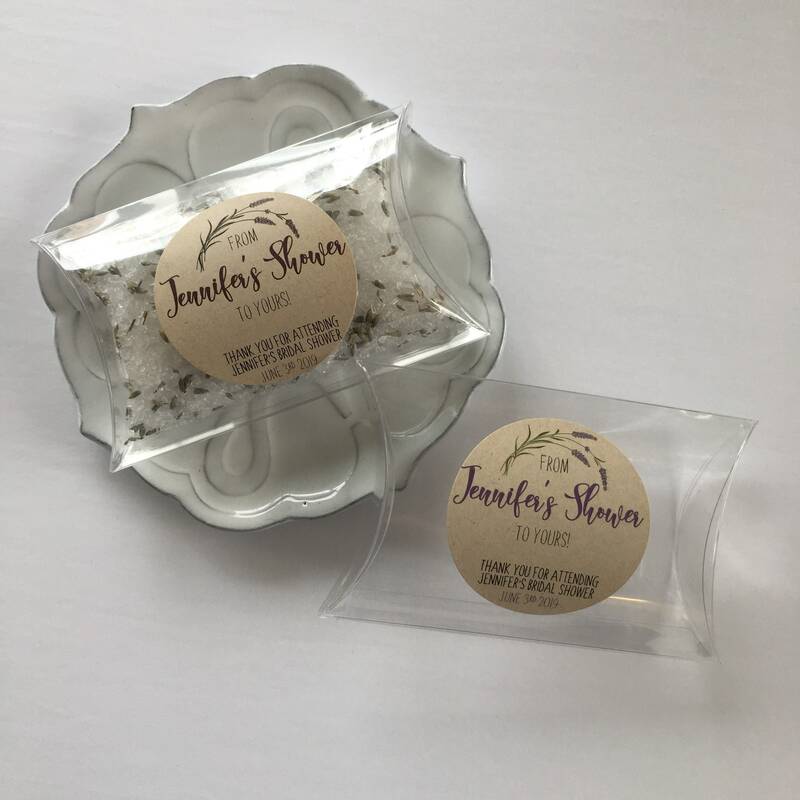 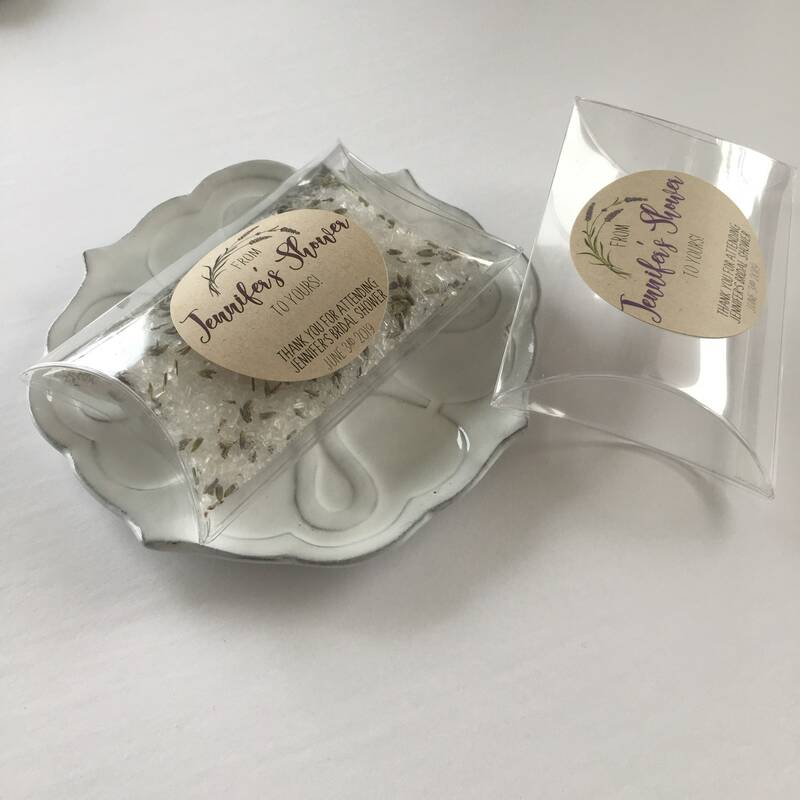 Boxes ship with the labels already affixed and filled with a luxury lavender scented bath salt that features dried lavender petals. 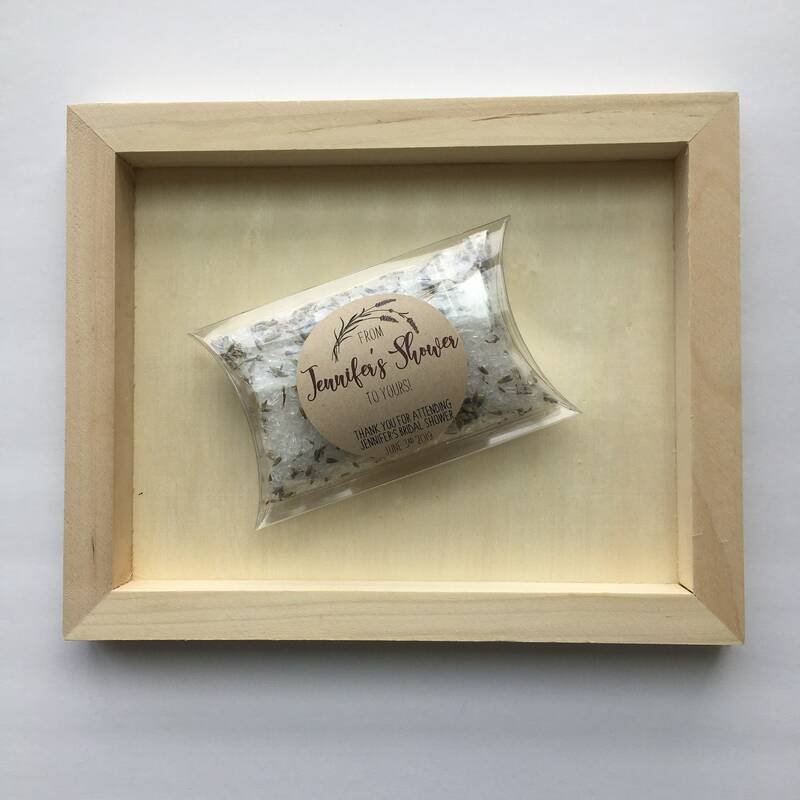 Fully assembled and ready to be gifted! 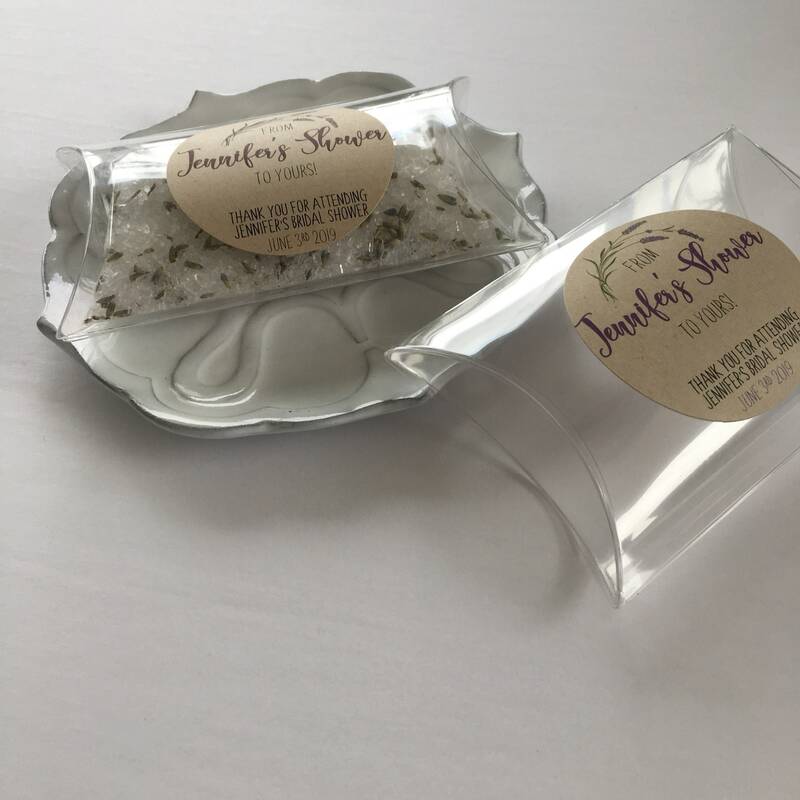 They are crystal clear to show off the contents, easy to assemble and feature fully overlapping flaps which gives them added strength. 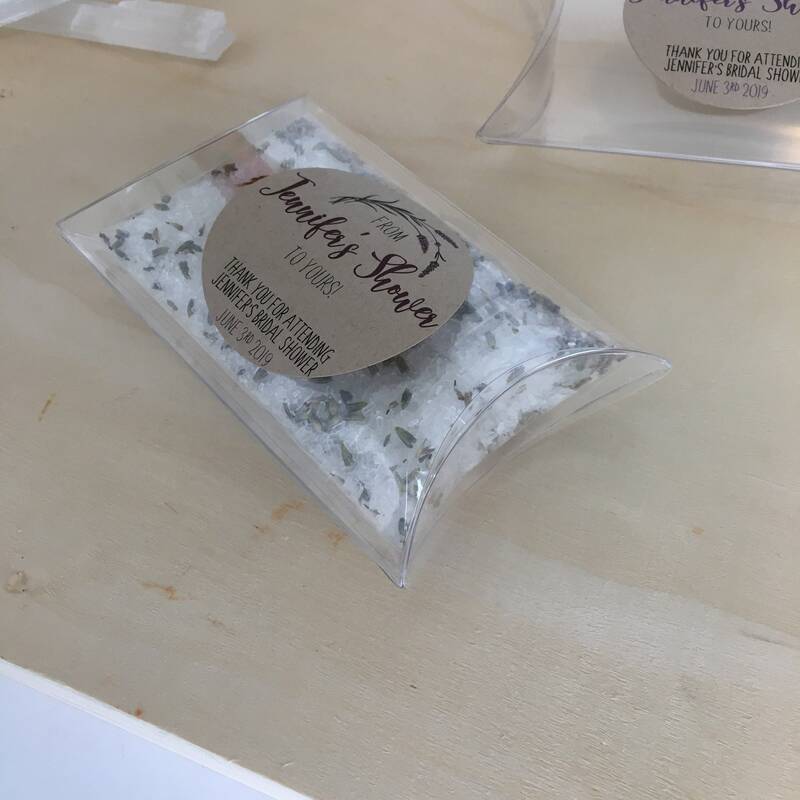 The salt is packaged in its own clear acetate bag before being placed in the boxes for a really pretty presentation. 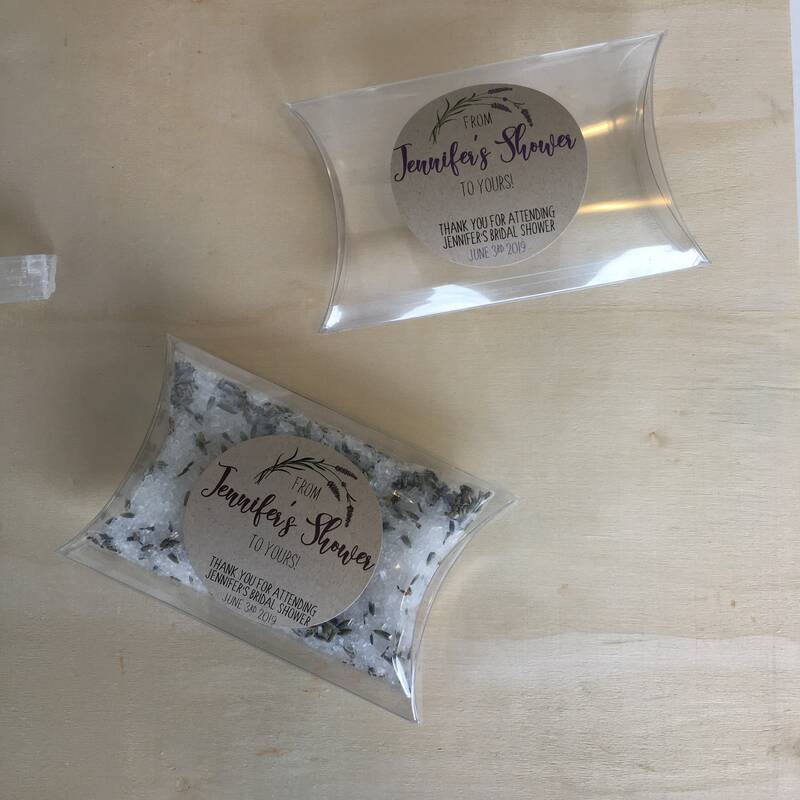 Boxes ship with the labels already affixed, and already assembled with lavender scented bath salts, ready to be gifted! 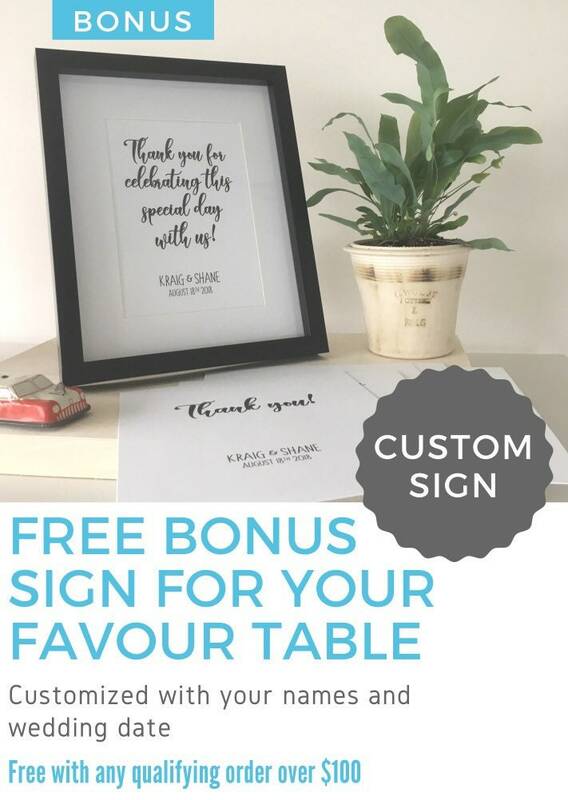 The customized sign includes the brides name as well as the shower date along with a phrase such as "Thank you for making our day so sweet, Please enjoy a treat!" 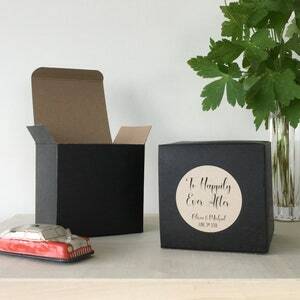 Please note any props included in the images is for photography purposes and will not be included with the boxes.